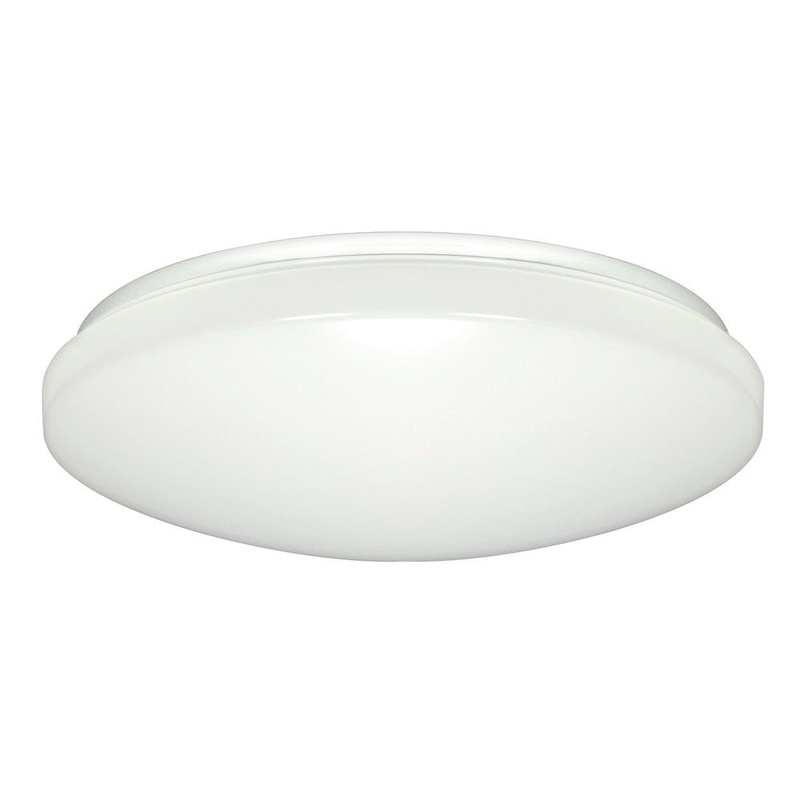 Satco LED Light fixture in white color, has polymer shade that offers even light distribution. This utility style fixture in round shape, has 16.5-Watt integrated LED lamp that has voltage rating of 120-Volts. Lamp has color temperature rating of 3000K to ensure optimal light level. Lamp offers 1200-Lumens of bright light output. This flush mountable fixture measures 14-Inch Dia x 3.5-Inch. It has 50000 hours of average life. Fixture is UL listed.